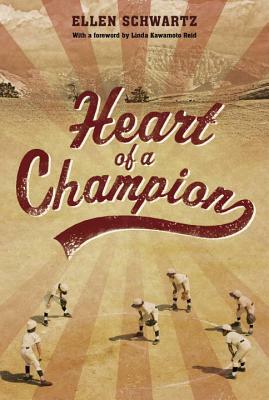 A poignant coming-of-age novel for middle-grade readers about a young boy obsessed with baseball whose life changes drastically when war comes to his Vancouver Japanese community. Ten-year-old Kenny (Kenji in Japanese) worships his older brother, Mickey (Mitsuo), a baseball hero whose outstanding performance on the Asahi baseball team has given him fame and popularity. Despite Kenny's suspected heart condition, he is determined to practice secretly with Mickey so he, too, can one day try out for the Asahi. But world events soon overtake life in this quiet community. When Japan attacks Pearl Harbor in 1941, everything for Kenny and his family spirals out of control: schools are closed, businesses are confiscated, fathers are arrested and sent to work camps in the BC interior and mothers and children are relocated to internment camps. When Mickey is arrested for a small act of violence, Kenny manages to keep his family's spirits up, despite the deplorable conditions in camp. Coming across a "vacant" field covered with scrap wood, broken shakes and torn tar paper, Kenny gets permission to clear it and convert it into a baseball field. One by one, the boys in the camp pitch in, and the work gives purpose to their long days. Kenny's persistence, hard work and big dreams shape the teen he is to become in this story of happiness found despite all odds. ELLEN SCHWARTZ grew up in New Jersey, but moved to British Columbia in the 1970s, where she teaches creative writing at Simon Fraser University and at Douglas College. She is the acclaimed author of twelve books for children, including picture books, juvenile fiction, YA fiction, YA non-fiction and educational books. Her titles include I'm a Vegetarian, I Love Yoga, Stealing Home, Avalanche Dance and The Case of the Missing Deed, a finalist for the John Spray Mystery Award. Stealing Home, her first novel about baseball, was chosen as a 2007 "Top 10 Sports Books for Youth" by Booklist magazine as well as being nominated for the Manitoba Young Readers' Choice Award and the Chocolate Lily Award. When she is not writing or teaching, Ellen loves to spend time dancing, baking bread and hiking. Visit her website at www.ellenschwartz.net.